The Summer Holidays are approaching. Repeat. Summer Holidays approaching. PANIC STATIONS! Six weeks. SIX weeks. Six. This fills me fear. Don’t get me wrong – I love my kids but six whole weeks of them off school? I don’t know what to do with them. They are at ages I’m not confident with anyway – Tori will be 5 come the end of the month and Artie is 3 – so even weekends can be a struggle. I am feeling The Fear and it is still three weeks away. But with this in mind I am trying to come up with plans to make it less stressful and more fun all round – the main plan comes courtesy of lovely people on Twitter who suggested I make a ‘Bored Jar’. A bit like my Book Jar – the Bored Jar contains things to do written on bits of paper that the Smalls can pull out whenever they are bored. I figured it would be not just for then but also on days when we haven’t got anything planned to give us a bit of structure to the day. I think I will call it a Summer Jar. I have started picking up cheap, simple craft kits when I spot them – each of those will be written down and added to the jar. If anybody has any suggestions for things to put in then I am all ears – just make sure they are idiot proof because I can’t draw for toffee so I can’t do anything that includes drawing yourself a template freehand! 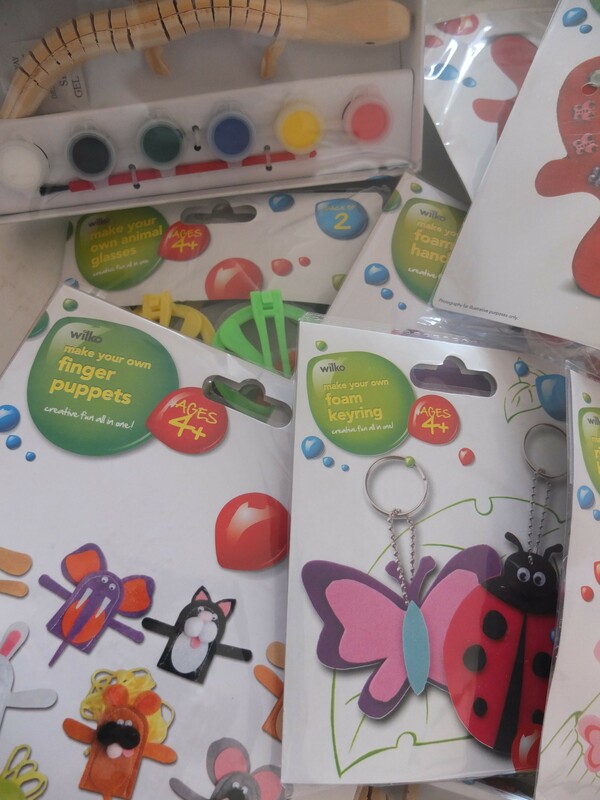 As well as these, the jar will contain things like ‘play with the Duplo’, ‘do a jigsaw’ and ‘play snap’ – things we have around the house and are easily accessible. Sometimes when you are bored you just need somebody to point you in the direction of something, even if it’s not anything new. I will also mix in things like ‘go to the park’ and ‘go on a bug hunt’ – stuff that gets us out of the house for a bit without having to spend any money. There are plenty of parks local to us so we can shake it up a bit and pick a different one each time. I suppose I should also bite the bullet and throw in ‘make biscuits’ or something. I hate having the kids in the kitchen, I find it very stressful trying to bake with them, but they enjoy it. Maybe I could make it ‘decorate biscuits’ and do the baking bit myself…?! Or perhaps I should find some of those easy-to-do kits? I’m sure once it gets here the six weeks will fly by and everything will be fine – but for now my calming method is making this Summer Jar because if nothing else I can pull something out of the jar first thing in the morning to give me an idea of what to do that day! 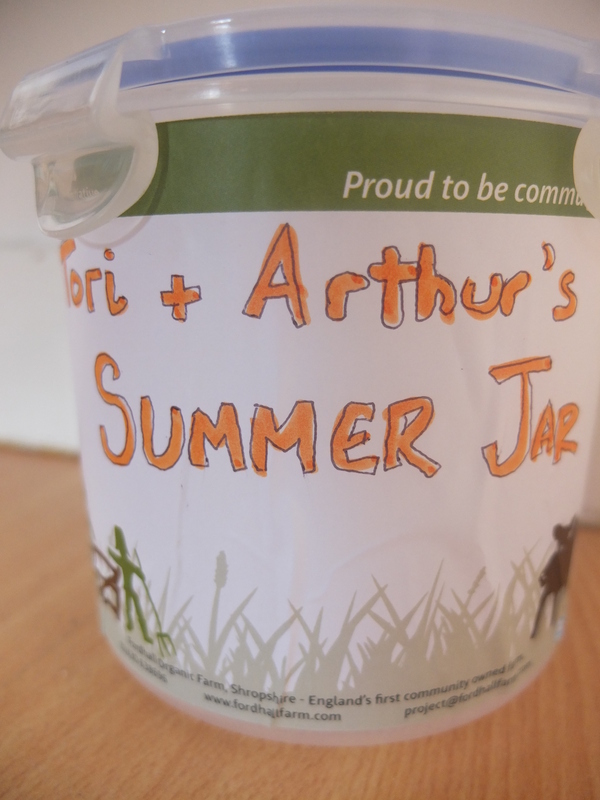 Have you got any ideas you think I should add to the Summer Jar? Are you dreading the holidays too, or is it just me? Oh I like the scavenger hunt idea! Hadn’t thought of looking at Pinterest – good thinking! I’m really hoping you’re going to do a post listing your ideas as my panic levels are steadily rising!!! It will be up soon!! Hehe.